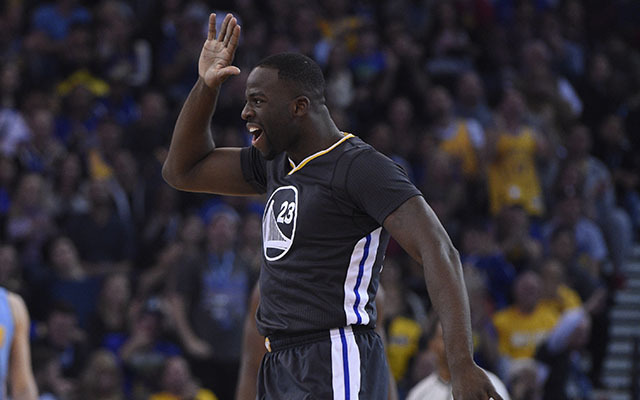 Draymond Green will not play vs. the Nuggets Wednesday. It will test the value of the versatile sparkplug forward. Draymond Green will not play for the Golden State Warriors on Wednesday night vs. Denver Nuggets, for rest purposes coach Luke Walton said at shootaround. "We'll try not to play anyone 48 minutes, and rely on our bench, but no minute restrictions for anyone else," Walton said. 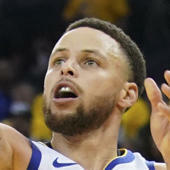 Green has played in all 38 games for the Warriors this season, carrying the team in several contests without Stephen Curry who has been dealing with a shin injury. The Warriors are 27 points worse without Green on the floor, and actually have been outscored by their opponent by six points per 100 possessions with Green on the bench. Walton was asked if the team had made a decision on resting Green Thursday night as well. "We're still talking about [giving him the back to back vs. the Lakers] off but haven't decided," Walton said. Walton said Green wasn't thrilled about sitting at full health but understood and didn't "fight too hard" on the matter. For Walton, it's an adjustment getting used to giving guys the night off as well. "Phil [Jackson] wasn't into giving nights off and we never asked for nights off," Walton said of his time under the Lakers legend. "That just wasn't the way we did it. But Pop does it, and Steve was under Pop. It works in San Antonio, and I've seen it work first-hand for us now. It's a change in philosophy but I believe it's a good thing." Of note, these decisions are never made based on arbitrary evaluations. The training staff, along with standard evaluations, uses data from biometric devices the Warriors use to track endurance and stamina and that is primarily the starting point for determining whether the players need rest or not. The Warriors rested several starters including Green, Klay Thompson, and Steph Curry in a late-season game in Denver based on that data. Walton would not specify a starter in place of Green, except to say that Andre Iguodala would not start against Kenneth Faried. The Nuggets have played the Warriors tough (comparatively) this season, for a 14-24 team, beating the spread in two of the three contests. The Warriors are a 9.5-point favorite Wednesday night. The game provides an interesting case study on multiple fronts. Without Green, the Warriors can't go to their so-called "Death lineup" (Steph Curry calls it the "Uh-Oh" lineup) with Green at center. That means they'll be playing big the majority of the time vs. a Denver team that features a lot of size down low with Jusuf Nurkic and Nikola Jokic, along with Faried. Rebounding was an issue for the Nuggets last time out, with Curry pointing to the Nuggets' 24 offensive rebounds. With Green out, that changes the dynamics. How will the Warriors look without Green? There have been so many questions about Green's value.